The Curse of the Triple Crown? 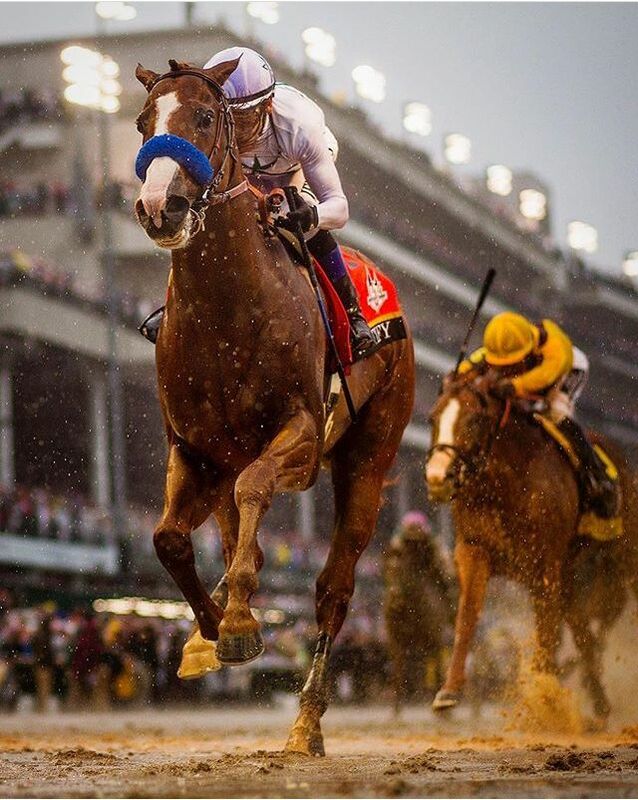 Justify, this year’s Triple Crown winner, was headed for the Breeders Cup. It would have been his final race and yet another jewel in his crown. Slight swelling in his left front ankle had kept Justify out of training. Will his carer end here? But right now his racing future is uncertain. The handsome chestnut gelding has had repeated filling in his left ankle. Justify’s achievement, coming into his three year season unraced and walking away with a Triple Crown victory was unheard of. But how much toll does it take on those young horses, even those who don’t win? And what about a larger horse like Justify? At 16.3 and 1280 pounds, he’s exerting a lot of force on those legs and feet. The Triple Crown has proved notoriously hard to win, but not much attention is paid to what happens to contenders after the last race. The toll the three races take is significant. Count Fleet, Majestic Prince, Risen Start, Smarty Jones, Afleet Alex, Swale and Charisma never raced again. Northern Dancer raced only once. Point Given and Big Brown raced two more times. Affirmed lost five of his next six starts. Spectacular Bid did not race again until August. Silver Charm didn’t race until late December and Real Quiet was way from the track until the following March. The cost for insuring the colt could be more than the purses he could win. 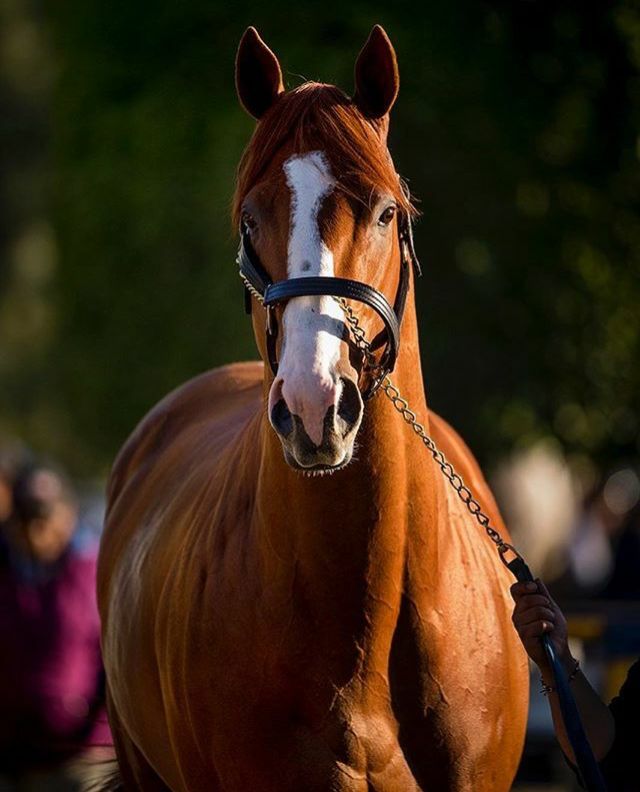 Odds are far greater than 50% that Justify will be retired at the height of his value as a stud. A poor finish in a subsequent race would lower his value. According to ESPN, his breeding rights after the Belmont skyrocketed to $75 million. Standard premiums run between 4 and 7 percent per year. To insure a horse worth $75 million, it would cost between $3 million and $5.25 million. Justify was aimed at the Travers Stakes and the Breeders’ Cup Classic and the combined purses for those races are $3.97 million. Hardly worth the risk. We now live in a time when top race horses have exceptionally short careers, often ten starts or less. It’s changed the sport and made it difficult to assess stamina and durability. While the Triple Crown has always been a bear to win, some of the old contenders were true war horses. Omaha, Ward Admiral, and Secretariat raced 20-26 times. Affirmed had 29 starts. Citation had 45 starts and Whirlaway had 60 starts – 32 Wins, 15 Places, 9 Shows! Is he a gelding or stallion?seems like they only breed for heart and speed now.nothing like the TB grew up with 50 years ago.they were built to do any job and hold up doing it. He is a stallion. It certainly seems like race horses are being bred for very short running careers, at least at the elite levels. I saw a comment to the effect of, if you give your horse to Bob Baffert to train, you’re aiming for the Triple Crown races and that’s it. Of course there are still “War horses” out there that race 100+ times, but that’s all at the lower levels. I was at Suffolk this past weekend and watched Chaotic Bull run 3rd in his 72nd race. CB is 10 years old, looks at the pinnacle of health. He is with an awesome trainer, whose shedrow is full of TBs with gleaming coats in full-flesh, that look like they could step into a show ring tomorrow and come home with blue ribbons in the hack. Its a shame we don’t hear more of the stories of those kinds in racing – they do exist! They’re obscured by the negative stories that get people’s emotions stirred up. I fully expect the announcement that he’s retired any day now. But if he stayed in training for the Pegasus, that’s a potential $7M right there. The horses that won in the earlier part of the last century…War Admiral, Citation, etc…were much more ‘solid’ horses. Meaning they had more bone, especially in the cannons. We must not forget that tracks back then were not as forgiving, either. Everything changed with the loss of the true horseman who thought more of the sport and less about how much money the horse can win. IT all changed with that little rocket, Northern Dancer. Today’s Thoroughbred is extremely inbred. He’s lighter, faster, even his skin is thinner than other breeds, most (like greyhounds, who will bleed at the slightest jolt, one that most dogs shrug off without even a bruise) Most, of all TBs now have at least one line to Northern Dancer and many have several. True, it being a long time ago and ND is probably in the fourth or fifth generation back…but breeders wanted that speed above all else and pretty much created what we biologists call a ‘genetic bottleneck’. The TB, now has a very shallow gene pool. I remember seeing several horses that I couldn’t identify until someone told me they were Argentinian thoroughbreds…they look like warmbloods. I mentioned that maybe it would be a good idea to breed some of that heavy bone back into the TB lines and I was almost shouted down. Was I nuts? These S. American TBs would never have won any race, I was told…too heavy and slow. Yeah, but built like tanks and never had a problem with legs, lameness, etc. Very true. The only horses who race like the “old days” are the lower level ones. I fostered one for CANTER who retired sound after 100 starts and I owned a mare who had 56 starts. I found a horse for a friend who had over 100 starts and is now her hunt horse! They are out there, but they are not bred to succeed in the high dollar races which cater to horses that peak early and are retired fast. FWIW, my own OTTB, who looks kind of like a QH, raced 28 times before he was sidelined by a suspensory injury (from which he fully recovered). That’s good news. Yes, you’re right..the ‘third stringers’…horses that are too ‘slow’ to make it into the premier races still make good horses. I am also encouraged by the number of OTTB rehoming organizations that have sprung up since many of these ex-racehorses make excellent riding horses. There are several hunting with our club. I fostered horses for CANTER for awhile and some very nice horses came through. That’s not to say they don’t end up at New Holland or the other auctions. I watch some of the resellers — the pseudo rescues that buy at auction and then mark up 4 times and resell to “save” them from shipping to Canada or Mexico. Compared to a few years ago there are far more QHs than TBs. Not that it’s a “good thing” but there’s been a shift.